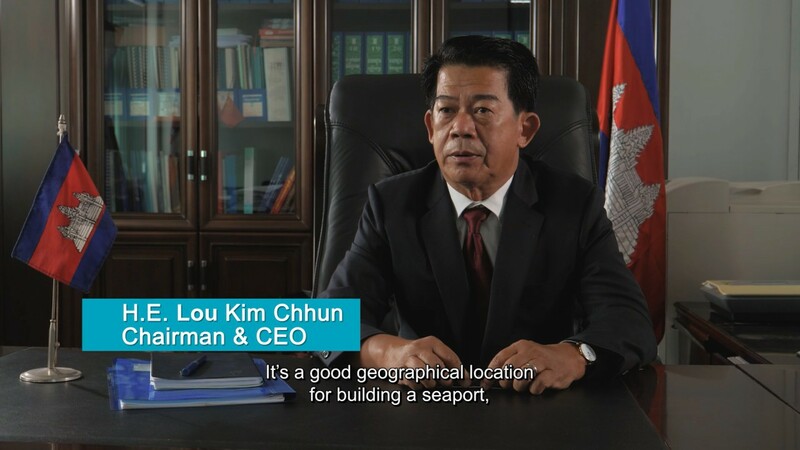 Development Plan | Sihanoukville Autonomous Port. Owning to the political and economic stabilization of the Cambodia after the free national election in 1993, the Government of Japan as well as JICA has consequently granted the Grant Aids, Technical Cooperation Program and ODA Loans to the Royal Government of Cambodia, particularly to develop the Sihanoukville Port such as port infrastructures rehabilitation and expansion in order to build the capacity of the container handling operation. 1. 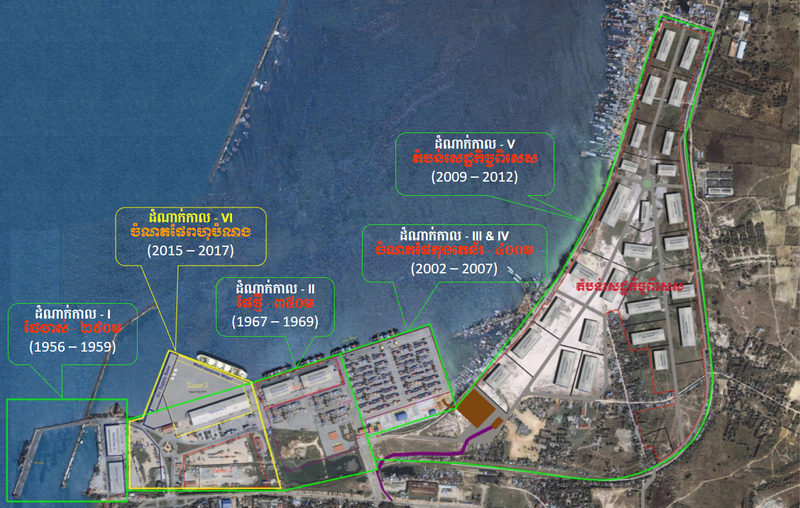 Sihanoukville Port Urgent Rehabilitation Project (2002-2005) financed ODA Loan Nº CP-P3 with the total cost of JPY4,142,000,000 (US$ 33.7 Million) for development and construction of 240m Container Berth, Container Yard with 8.5 ha and dredging the port channel and port basin up to -10.00m depth. 2. Sihanoukville Port Urgent Expansion Project (2005-2009) financed ODA Loan Nº CP-P4 with the total cost of JPY4,313,000,000 (US$ 34.8 Million) for development and expansion of 160m Container Berth, the construction of One-Stop-Service Administration Building and the dredging the port channel and port basin up to -11.00m depth. In addition, it was equipped with the modern container handling equipments: 02 Units of QC Cranes, 05 Units of RTG Cranes, 08 Units of Tractor & Trailer, and one set of CTMS. 3. Sihanoukville Port SEZ Development Project-E/S (2007-2009) by using ODA Loan Nº CP-P6 with the total cost of JPY318,000,000 (US$ 2.8 Million) for the feasibility study and the details design. 4. Sihanoukville Port SEZ Development Project (2009-2013) by using ODA Loan Nº CP-P8 with the total cost of JPY3,651,000,000 (US$ 32.9 Million) for the construction of the important SEZ’s facilities such as SEZ’s Administration Building, Container Operation Service, Land for rent approximately 45 ha, Rental Factories, Dormitory buildings for workers and employees dwelling, and 24 hour security services. 5. Sihanoukville Port Multipurpose Terminal Development Project (2014-2017) by using ODA Loan Nº CP-P10 with the total cost of JPY7,176,000,000 (US$ 74.2 Million). In addition to the existing facilities, PAS is planning to build the Multipurpose Terminal with 330m length by -13.5 depths for bulk and general cargoes and 200m length Terminal for Logistic Base Oil Exploration in order to facilitate and stimulate the export of Cambodia agriculture products such as acacia, woodchip, and dry tapioca chip, esp. in response to the market expansion strategy for milled rice export of the Royal Government of Cambodia, and logistic service for the offshore oil exploration in the territory of Cambodian sea as well as for the economic growth in Cambodia. 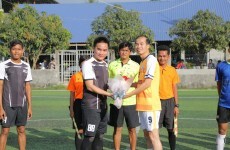 - The Project for the Improvement of Security and Equipment in Main International Port in the Kingdom of Cambodia (2008-2009) by using Grant Aid with the total of JPY927,000,000. 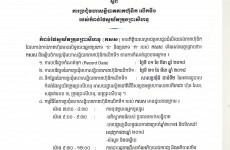 - The Project for Capacity Development on Container Terminal Management and Operation in Sihanoukville Port (2013-2016). At the mean time, in order to strengthen the capacity building of Container Terminal Management and Operation as well as the marketing and promotion of SEZ, the Government of Japan had consequently dispatched 05 persons of JICA Expert to assist PAS since 2005. 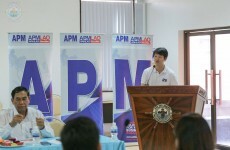 In conclusion, Under Japanese ODA Loans, Grant Aids and Technical Cooperation by the Government of Japan as well as JICA have diversified the Sihanoukville Autonomous Port of Cambodia, to be the international port of better service quality, security and good environment as well as to boost productivity and satisfaction in providing the benefits and cost with competiveness to port users by installing a modern Container Terminal Management System (CTMS) in accordance with the international standard, which is comparable with the neighboring countries’ operational system. For instance, the cargo volume throughput at Sihanoukville Port has dramatically increased 10% to 15% per annual during the last five years, PAS handled 2,217,150 ton in 2010 and 3,423,919 tons in 2014, which the average cargo throughput increased 12.5% and expect that in 2015 the cargo volume will increase approximately 4,000,000 tons exceeding that in 2014 around 15%. At the same time, container volume also increased. In 2010, the container throughput via Sihanoukville Port was 222,928 TEUs and 333,904 TEUs in 2014 with average increase about 10% and expect that in 2015, PAS will handle up to 394,000 TEUs with the increasing of 18% is higher than in 2014. 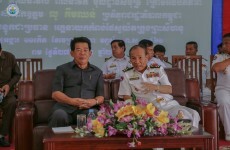 The above mentioned achievement reflected that the utilization of Japanese ODA Loans, Grant Aids and TCP for development of the hard and soft infrastructures of Sihanoukville Port has been remarkably contributed to reduce the poverty of the Cambodian people as well as the economic growth of Cambodia.